The chopper scene has been responsible for some of the greatest atrocities committed against motorcycling: a smorgasbord of tasteless paint jobs, lethal handling and crippling ergonomics. But there was a golden age in the late 60s and early 70s when there was still a tenuous relationship between form and function. And a beguiling, carefree style that suggested long road trips driving down dark desert highways in Southern California. 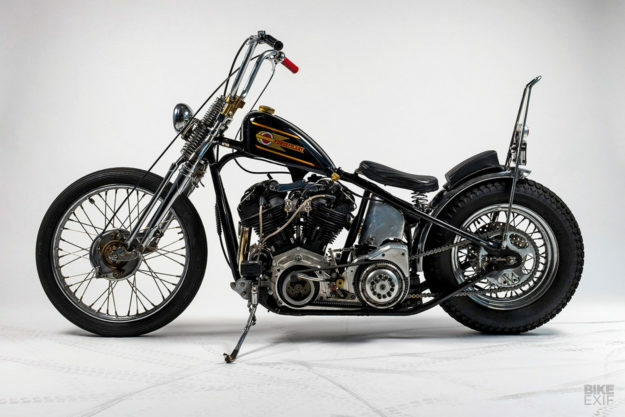 That’s the kind of classic chopper we can get into, and this Harley Knucklehead from Powerplant in LA absolutely nails it. 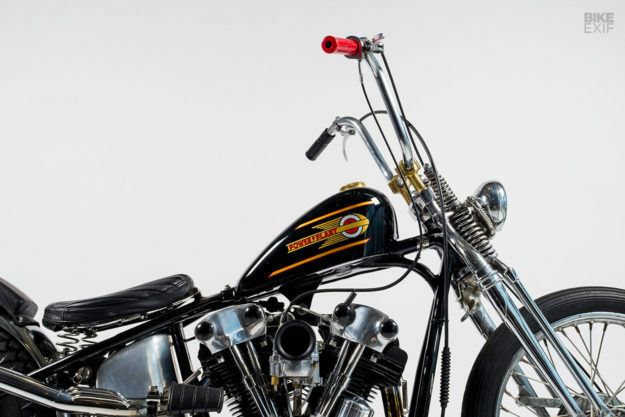 Builder Yaniv Evan has been running the Melrose Avenue shop for over 15 years now, and has picked up trophies from shows such as Moon Eyes and Born Free. 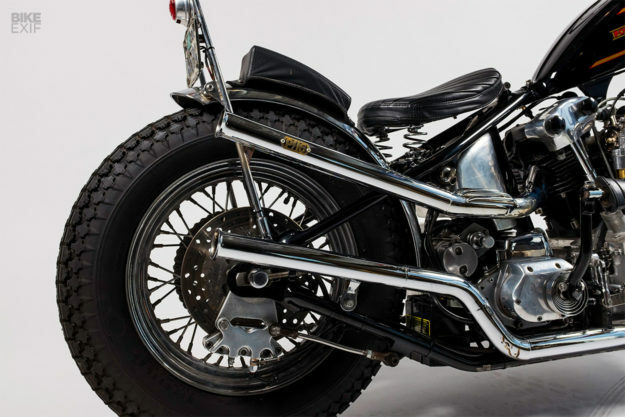 Yaniv generally avoids the worst excesses of the scene, taking inspiration from his background in aviation and his love of hot rods, racing and vintage motorcycles. He’s become the go-to guy for many well-heeled enthusiasts in the City of Angels, and one of his clients is Norman Reedus—known for the TV series Ride with Norman Reedus as well as The Walking Dead. 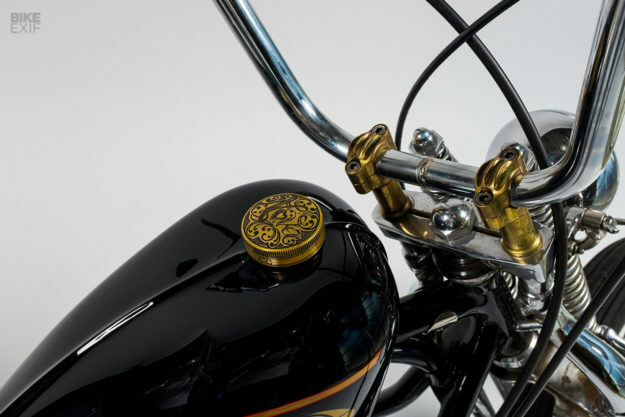 Reedus ended up gravitating towards a classic ’47 Knucklehead look, so Yaniv has emulated that style while adding classic elements—like the hand painted Sportster tank. Although the Knuck has a classic vibe, it’s actually been built up from scratch. 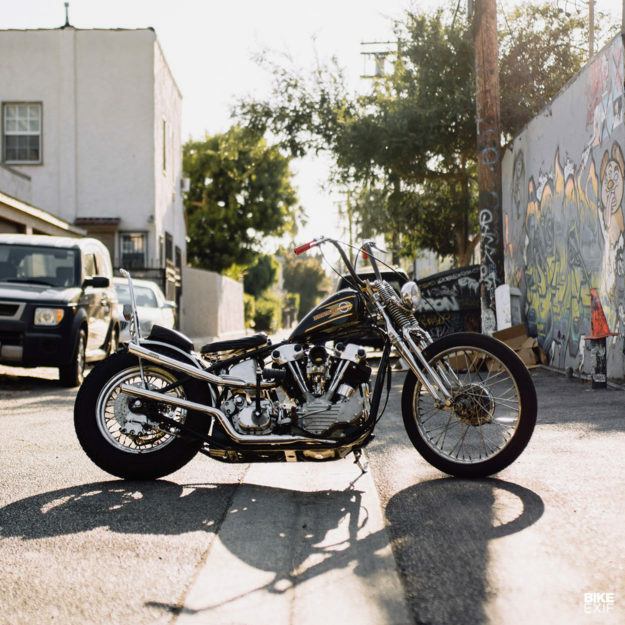 The frame is a Paughco special order rigid Big Twin setup that Yaniv modified and added his own backbone to. 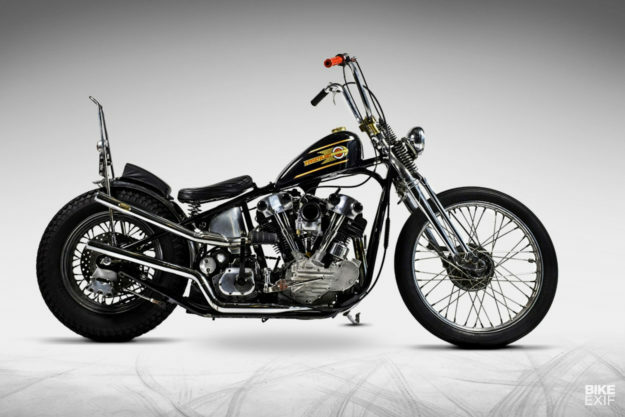 The engine is a 93ci S&S Knucklehead replica—which matches vintage looks to modern performance. It’s hooked up to a five-speed Indian transmission case with a combo kickstarter/electric start. “The big compression motor is extremely strong—and difficult to kickstart at the beginning, during the break-in process!” Yaniv notes. 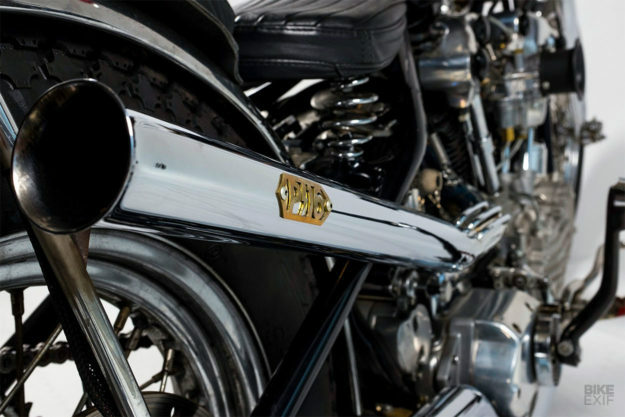 The front end is a replica 1947 Springer unit, with Powerplant’s own polished aluminum P16 risers on top. 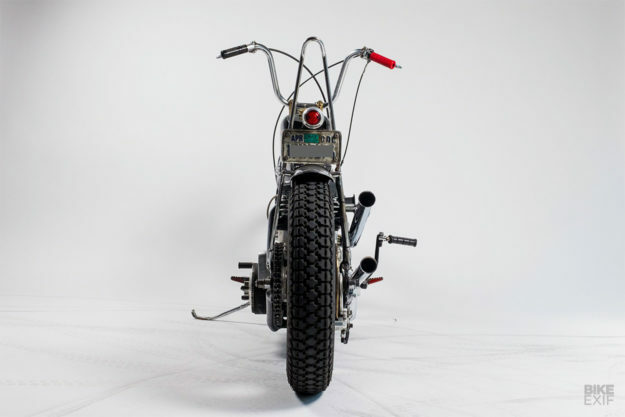 The tank is from a Sportster, chopped up and with a slim accent line added across the top. 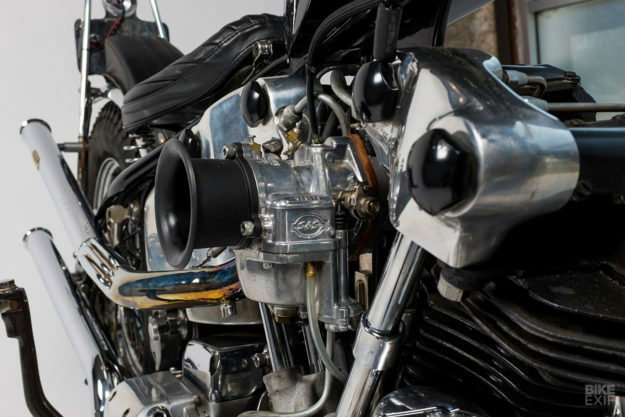 Powerplant have also installed a classic Bates seat, dirt bike ‘bear trap’ pegs on the mid controls, and a handmade aluminum oil tank. 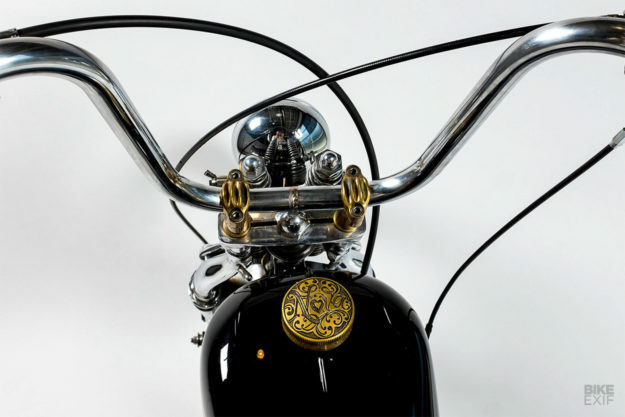 Yaniv completed the Knucklehead just in time, and Norman flew out to LA to test ride his new baby. Then a few hours ago, his second child was born. That makes two fine new additions to the Reedus family. Let’s hope Norman gets enough time off from his fatherhood duties to ride this beautiful machine.